The first ODI between India and Australia was held in Hyderabad on Saturday. Australian captain Finch won the toss and elected to bat first. Indian bowlers did exceedingly well to restrict Australia to a small total. The visitors were never in control during the innings, as they kept losing wickets. They manage to score less than 240 runs. Only Khawaja and the in-form Maxwell did well for them with the bat. For India, it was a perfect bowling day. 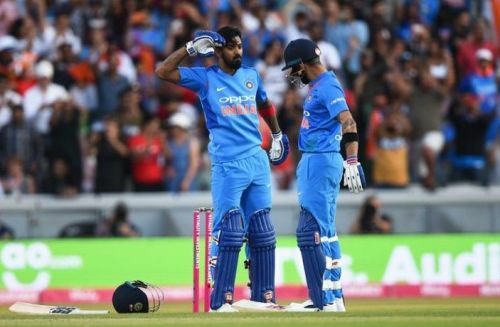 Jasprit Bumrah had a rare off day but Mohammad Shami made sure that Australia was never getting away with the game as he picked the two wickets including that of Maxwell. Ravindra Jadeja was tight as usual and conceded only 33 runs in his ten overs. India lost Dhawan very early. 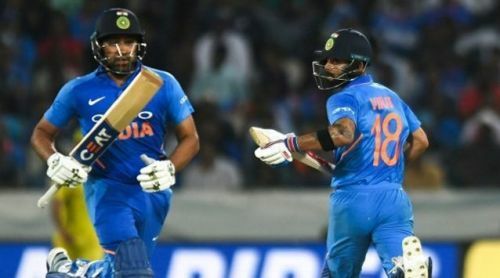 Indian captain Virat Kohli played a decent cameo, and Rohit Sharma scored 37 runs, though it wasn't a fluent innings from him. At one stage, India were reeling at 99/4. But Jadhav and Dhoni played exceedingly smart cricket. Jadhav went after the bowlers and Dhoni played an excellent supporting role. Both of them scored match-winning half centuries. Jadhav won the Man of the Match for his match-winning 81 runs. Dhoni notched up his fourth consecutive ODI half-century against Australia. India might make a few changes for the second ODI to test the bench strength. Lets see the predicted XI for the second ODI. India might be tempted to go with Rahul to open the innings along with Rohit Sharma. The former has played really well in the T20I series. So if India are looking at him as a backup opener, then he must get a few games before the big tournament. If Rahul comes in, it means that Dhawan might have to sit out. Dhawan got out for a golden duck in the first ODI and has been inconsistent in recent days. Virat Kohli will take his usual number three position. Kohli is getting starts in the past few ODIs, but is not being able to convert them into big scores, which is unusual for him. He might look to play a long innings in the second ODI, and hence batting at number three might be the best option.